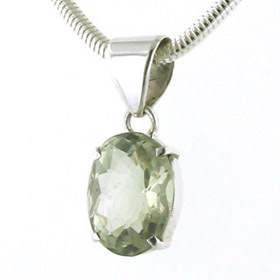 Green amethyst is a softly coloured sage green gemstone and the variety of sizes and cuts make it ideal for mounting as a green amethyst pendant. 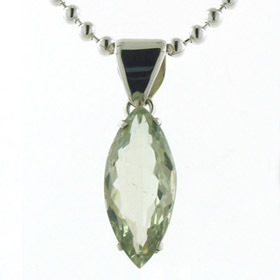 It's not so readily available as purple amethyst but it's delicate colour lends itself to many complexions and fashion colours. 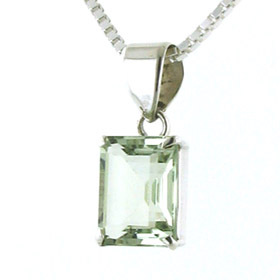 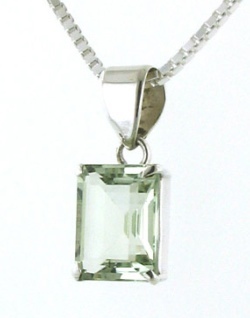 Choose from our silver chains collection to create your individual green amethyst pendant necklace.